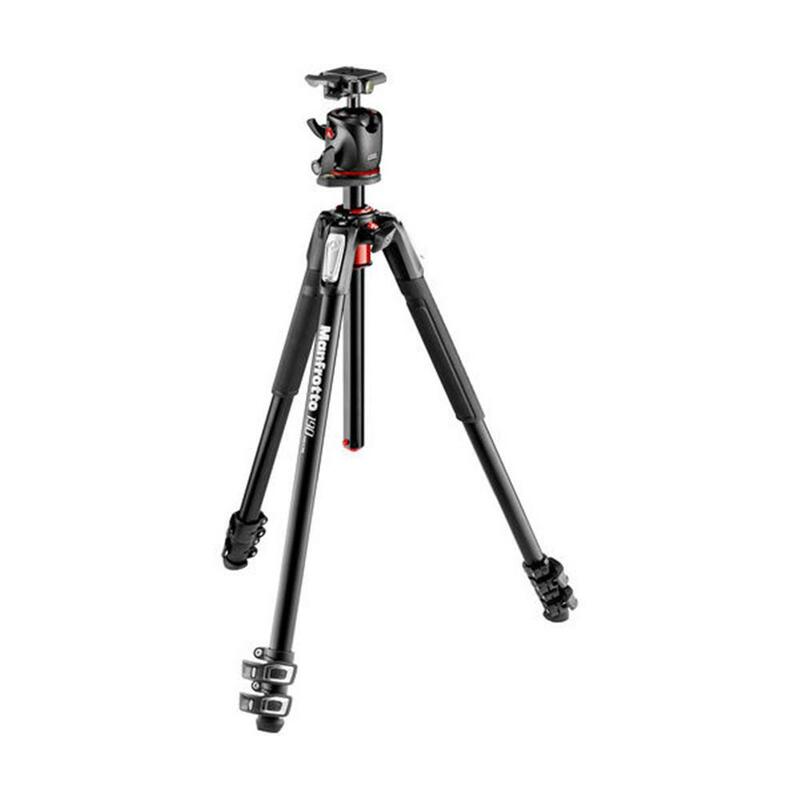 190XPRO3 is a compact 3-section aluminium tripod with advanced features and excellent build quality. The key feature of the 190XPRO3 is its 90 degree centre column mechanism, which allows the column to be extended vertically as normal, or horizontally to open up a wide range of framing and shooting possibilities; this makes the 190XPRO3 an extremely versatile tripod, suitable for a wide range of photography and video applications. The horizontal column mechanism is housed within the tripod's top casting for compactness, but it is easily and quickly extended whenever you need it. Switching between vertical and horizontal column orientation requires no disassembly, and can even be done with a camera attached. Column Tube Diameter: 25mm / 63/64 in. Closed Length: 59 cm / 23.23 in. Load Capacity: 7 kg / 15.43 lbs. Maximum Height: 160 cm / 62.99 in. Maximum Height (with Center Column Down): 135 cm / 53.15 in. Minimum Height: 9 cm / 3.54 in. Weight: 2.000 kg / 4.41 lbs. XPRO Ball Head features a triple locking system which guarantees camera position stability, avoiding drifting thanks to three wedges which enclose and block the sphere. Its friction control helps the user balance the weight of camera equipment and, thanks to the two leveling bubbles, fine adjustments can be made with the locking knobs open. Moreover, its new polymer rings have substituted that unpleasant, messy grease, ensuring smooth, accurate and less jerky camera movement. XPRO Ball Head is extremely portable, lightweight and reliable thanks to its magnesium body: it weighs only 1.1 lbs. (0.5 kg) and can support up to 22 lbs. (10 kg) of payload. Load Capacity: 10 kg / 22.05 lbs. Weight: 0.500 kg / 1.1 lbs. Working Height: 11.5 cm / 4.53 in.